LeahBookishObsession (Grade: A+) Once Calla arrives in Alaska, I was hooked on this story. The sexual tension, the scenery, the desolation of Alaska, the lies, the misunderstandings, and the tears, just all of it. I really came to love these characters and their stories. Even with the sad-as-hell cancer storyline, this felt refreshing and current. It's also not weighed down with unnecessary drama. 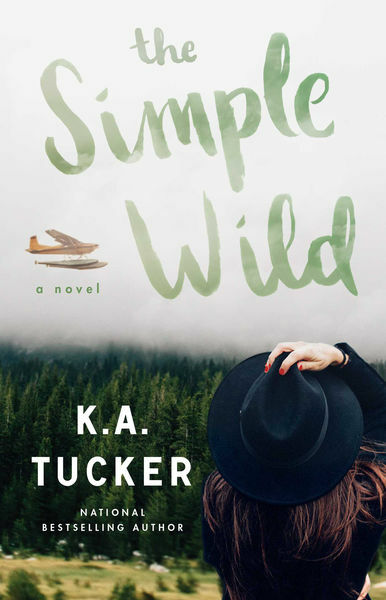 The Simple Wild is exactly that…simply wild and now it's one of my favorite KA Tucker books. RemusLupin (Grade: B+) I find this story sticking with me more than I expected. I appreciated the “repeating my parents’ mistakes” storyline, and the narrator’s growth was subtle yet believable. The romance was pretty obvious from the start but still fun to watch develop. The ending also managed to be sweet and satisfying without either character compromising their beliefs. If you want a contemporary romance with a unique setting, definitely give this one a go.